Maceo Plex, Francesca Lombardo, Andre Crom, Nerdjack, Technasia & Green Velvet and more. This show was 5th in the global berlin chart. 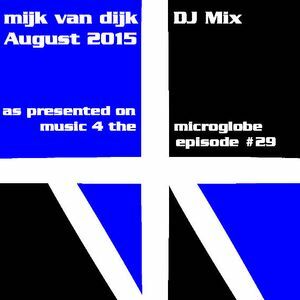 This is the DJ mix of music 4 the microglobe #29, the August 2015 episode as heard live on BLN.fm, cuebase-fm and XLTRAX on Thursday, August 20th 2015.